The project architect and/or general contractor should be present to ensure the information being shared is fully understood. This will reduce the time it takes to issue the building permit. Fill-out the building permit application and submit 3 sets of construction drawings (4 for restaurants) stamped by a registered architect. Your permit will be reviewed without the contractors identified on the application; however, they will need to be identified before the permit can be issued. 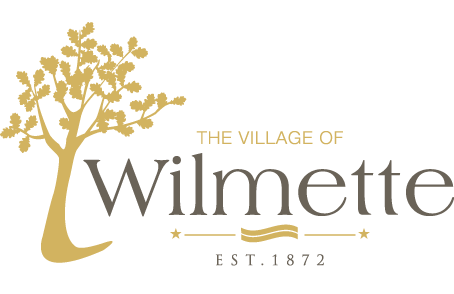 Also, all contractors must have a current Village of Wilmette contractor’s license. The codes used to evaluate the permit are listed here. Exterior changes may require additional permits. Please contact the Business Development Planner for more information. Inspections should be scheduled and completed upon milestones in the project. Your contractor will know when the inspections are necessary and generally are completed in two stages (rough and final). If you need direction on inspections, please contact the Village, or click here for more information. Inspections need to be scheduled at least 24-hours in advance of the desired inspection time. Once all inspectors approve final inspections a Certificate of Occupancy will be issued granting occupancy to your business. Restaurants will also need a final inspection from the Sanitarian. Please call for a final health inspection 48-72 hours before your plan to open, to avoid any disruption in food delivery. Health inspections may be scheduled by calling 847-853-7508.